Monsoon Season is here to greet us and give relief from this harsh warm weather. You all people out there will be surely enjoying this weather with a cup of tea and some nice snacks, but sometimes we are not able to admire the beauty of this season as it brings some health problems also. The most common ailment that comes with this drizzling weather is Cold and Cough. I personally feel very irritated when i get caught with cold and am not able to enjoy or concentrate on my work because of this. So, just few days back when i had cold, i thought to give a try to Patanjali medicine for the same. I went to a patanjali chikitsalaya that is near by home and there i met the doctor and she had prescribed me some medicines to take. I started taking the medicine as she told to take and believe me that night i was able to get sound sleep and the next day also i took the medicine and it took me only 2 days to cure cold. So, Yes!!!!!!!! Patanjali medicine for cold and Cough is very effective. But before taking these medicine please consult the doctor. Now we will see which all medicines doc prescribed me and whats there constitutions are. Doc gave two kind of medicines, for first type i had to mix all bhasma and churna and then take the mixture. second kind was tablets. 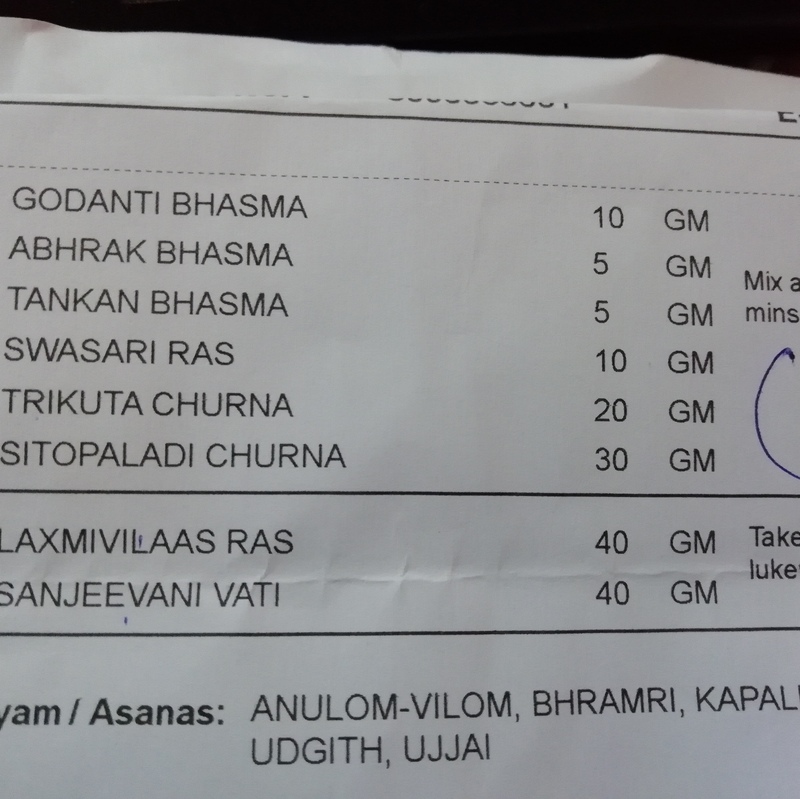 So here you can see the list of Bhasma and churna . Mix all of the mentioned bhasma and churna together and from the mixture what is prepared take 1/2 tsp twice in a day 30 minutes before food with honey. These are in tablets form. Take 2 tablets of each medicine twice a day after meal with lukewarm water. 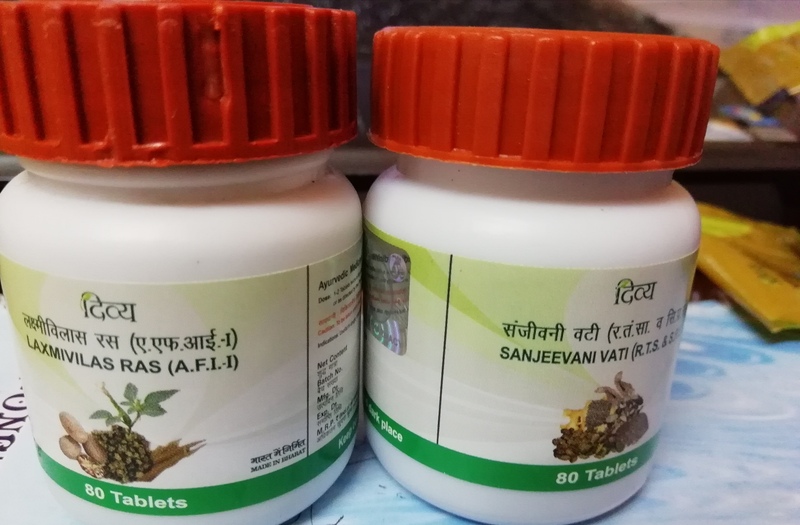 So, here we got to know the dosage and further we can see the ingredients of these medicines, first we will start with the Bhasma one by one. TRIKATU CHURNA :- Trikatu contains 3 most essential spices namely Black pepper, Long pepper, Ginger. SITOPALADI CHURNA:- Divya Sitopaladi churna contains Vanshlochan, Peepal, Dalchini, Mishri. From these ingredients i am most aware of Ginger, Black pepper, Long pepper,mulethi,lavang and Dalchini . 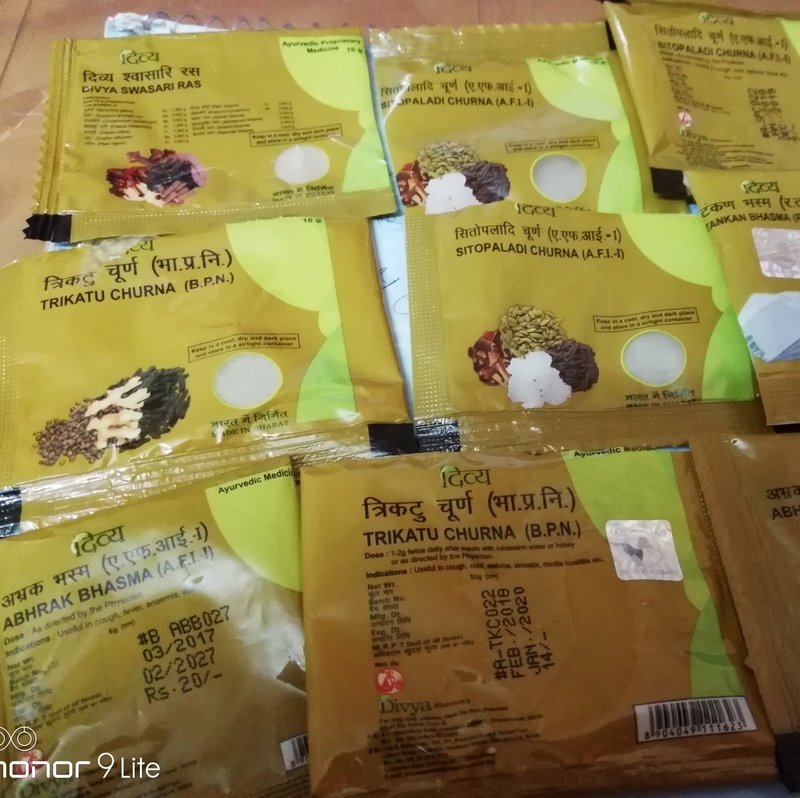 We can find these in our kitchen itself and if i am not wrong then you might have used them before to cure your cold and cough as prescribed by the universal doctors 🙂 here i am talking about our elders 😉 . So, next time if you have cold, please go visit your near by patanjali chikitslaya and take the medicines, you will feel better.